I’ve been reading the site for a while now, but this is my first post as I haven’t actually completed any retro projects. I did manage to find this great sewing book a few weeks back at my local second hand shop. It has great information on everything from planning, drafting patterns, choosing your fabric to refashioning and repairing existing clothes. I really like the simplicity and thoroughness of the instructions. 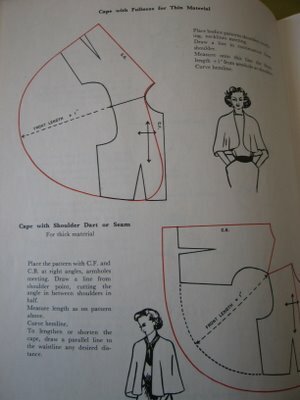 I adore vintage sewing books, I picked one up a couple of weeks ago to add to my collection, they are chock full of great information and I love it when they give fashion advice! What an awesome find! 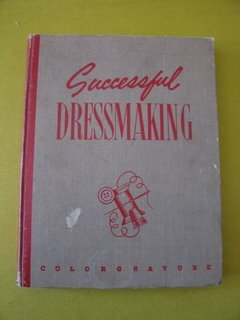 I hope to someday find a vintage sewing book such as that. I have some 70s books, but that’s as far back as I have found. Oh, what a great find! I always keep my eyes open for wonderful old sewing books too. That looks like a really helpful book. Why don’t they publish books like that anymore?